In Nishijin (a lot of raw silk and woven fabric wholesalers started and prospered here), along Omiya Street in between Imadegawa and Ichijo, the Senryo-ga-tsuji Hina Matsuri Festival will be held. 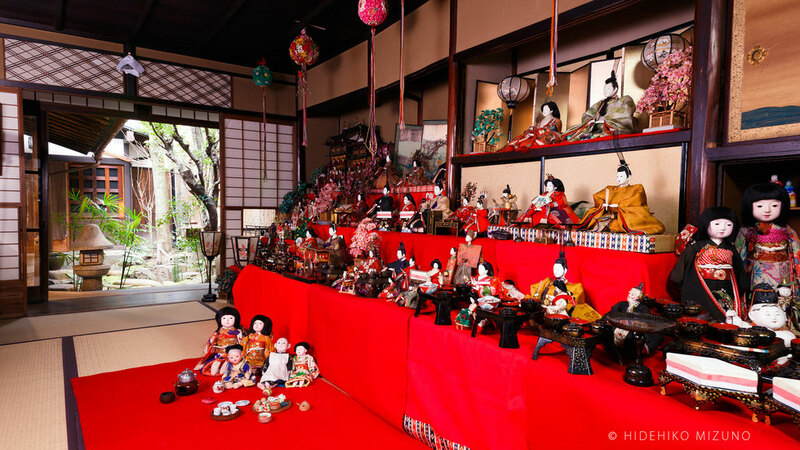 Some old machiya traditional houses will exhibit their hina ningyo dolls, and old warehouses used by the raw silk wholesale merchants will be used as an exhibition space. On this special occasion, Japanese traditional clothing and accessories will be sold and traditional machiya restaurants and cafes are open.